The gold spread trading market is stabilising around current prices, with repeated attempts to get below $1,530 and above $1,630. With the market now at $1,595 it is tempting to toss a coin to guess the next direction. Financial Spreads' clients are buying heavily at the moment in anticipation of a bounce from yesterday. Oil is the one asset that looks to have defeated the bears, with prices for Brent crude oil now up at $106.50, having hit $88.50 back in June. With slowing growth, it is not entirely clear why this should be the case, but it might be a warning sign that supply will come under pressure into the winter. Gold lost $14 to $1,599 yesterday, as market participants realised the widely expected monetary stimulus will have to wait. The fact that the precious metal moved back above the $1,600 mark in overnight trading may suggest that investors feel that the question of QE3 is not if but when. Tomorrow's Non-Farm Payroll report will probably be of crucial importance in determining the answer. A sharp drop of 6.5 million barrels in the weekly crude oil inventories, as reported by the US Department of Energy, initially pushed US crude oil futures higher. However, an almost non-event in the US, with the Fed holding fire, spurred a downturn in energy sector. As a result, we saw a retracement late in the day, but US crude managed to hold onto some of its early gains and closed $0.88 up at $88.91. The recent rally in the gold market, supported by speculation that US and European central bankers will restart the printing press, lost steam yesterday. As we approach D-Day, it has become less obvious they will act so the demand for the metal as an alternative asset was hurt. Overall gold lost $8 to $1,614 for the day. This morning the gold futures market stands at $1,618. Despite a surprise rise in US consumer confidence, energy investors took the safe route and squared their long positions. It might have been that investors expected a delay in the Fed adopting new stimulus measures especially when the non farm payrolls are due out on Friday. Either that or today could reveal another bearish report regarding crude oil's weekly inventories. All-in-all the US crude oil prices retraced $1.61 to $88.06 per barrel. Gold snapped a stream of three gaining sessions retracing $1.1 to $1,621.60 amid questions over the possibility of another round of QE on both sides of the Atlantic. If Europe looks more likely to ease, analysts grew divided about the US which still posted economic growth albeit at a reduced pace. So, the next few days could see gold trading turning choppy. Ahead of a very busy schedule for this week, energy investors stayed en guarde, keen to see some action from regulators before getting involved further. Yesterday's minor decline in the WTI crude prices, 36¢ to $89.78 was spurred by a stronger dollar. However, the tight trading range seen in the last few sessions suggests that the overriding sentiment is one of caution. Maybe the FOMC meeting this Wednesday, followed by the ECB meeting on Thursday and the US employment report on Friday will offer some much needed extra clues. Optimism that the Europeans will get their act together pushed equities and the euro further up Friday. Gold followed suit as spread betting investors discarded the safety of the dollar and embraced risk again. The metal added $9.4 to close at $1622.7, a level last seen in mid-June. This morning gold is trading around the $1,620 area. The WTI crude oil prices rose for the fourth straight session in the face of a slower expansion in the US economy, plunging consumer confidence and a struggling employment sector. However the 70¢ rise to $90.13 was supported by expectations that the Europeans will preserve their currency at all costs thus propping up demand in the energy sector. Gold continued to rally yesterday gaining $9.70 to $1615.2 after the ECB indicated its supportive stance for the euro. Following speculation of more stimulus measures in the US, it seemed Europe was on the same path. Down the line, that could bring inflation-based-risks back. 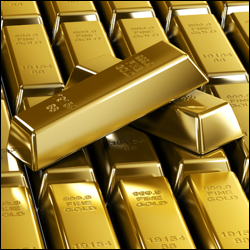 The precious metal is still seen as a good hedge against higher prices. Positive figures for the US economy, especially relating to employment sector and reassurances from the ECB about defending the euro failed to trigger a significant rise in crude prices. Instead, the WTI crude prices gained only 29¢ to hit $89.39 a barrel. It might have been the case that energy investors were still influenced by Wednesday's bearish report on inventories and took a cautious approach. Looking at the gold spread betting market, the general deteriorating economic data from around the world triggered fresh speculation that the Federal Reserve will implement more stimulus measures soon. That might be followed by other central bankers. With the potential of more QE, and the expected paper devaluation, gold investors were on high alert for another flight into alternative assets. As a result, gold rose above the $1,600, closing $25 higher at $1,605. The US Department of Energy released its weekly inventories report yesterday. The release showed that crude oil stocks rose by 2.7m barrels compared with estimates of a 0.8m barrel draw (decrease). That sent crude prices down but a rally in equities coupled with a weaker US dollar overturned the bearish sentiment. Ongoing troubles involving Iran and Syria also convinced the bulls to join from the sidelines and gave US crude prices a 77¢ gain to $88.97. It seems trading in gold has turned a bit boring. Investors are largely undecided on whether to buy the metal and await the dollar depreciation from QE3 or sell it given a strengthening dollar. Yesterday, we saw a modest rise of $3.60 to $1,580.2. Nevertheless, as mentioned in previous comments, the sideways movement dominates the view. At the time of writing the bulls are attempting to push the market higher as it trades at $1,586. Following two days of heavy losses, bargain hunters made a cautious approach pushing the West Texas Intermediate crude prices 45¢ higher to $88.50. Some extra help for the buyers might have come from news that manufacturing in China remains resilient. However, with the euro in freefall against the dollar, it could be a real struggle for buyers to stay optimistic about oil prices. Yesterday, Gold declined $7.10 to $1,576.50. It was pressured by a stronger dollar / worsening Eurozone. The metal failed to attract safe haven demand which instead went into the US dollar. However, in the bigger picture the $1,560 - $1,590 sideways range remains firmly in place. US crude oil prices tumbled sharply yesterday losing $3.47 to $88.14 on renewed concerns over the soaring cost of borrowing in Spain. That easily trumped geopolitical worries in Iran and reports of a pipeline explosion in Turkey. The ever-stronger US dollar is also working against any meaningful attempt to push crude oil higher. Last week's crude oil rally, fuelled by geopolitical worries about Iran and hopes of QE3, came to an end on Friday as the fresh European worries hit the energy sector. A stronger US dollar also put downward pressure on WTI crude prices which declined 78¢ to $91.44. Some early signs this morning indicate those fears are not over yet as the pressure seems to be continuing. Gold futures have moved sideways for the last two weeks and largely within with $1560 - $1590 range. Along with the speculation of another stimulus package, support for gold was provided by inflation worries on higher grain prices following drought conditions in the US. On the other hand, a higher dollar is keeping some of the buyers on the sidelines.